This schedule lists records commonly found in the county Sheriff's office. The retention periods specified herein are either required by statute or have been determined by best practice. Permanent records existing solely in electronic format may become inaccessible through media decay and/or hardware/software obsolescence. The Ohio Historical Society recommends that digital records with greater than a ten year retention period also be maintained in either paper or microfilm formats. Records may not be disposed of until all audits released and audit discrepancies have been settled. Where a lawsuit or agency proceeding is pending, a legal hold on relevant records is required. Records shall be retained until the legal hold has been removed. Electronic mail (e-mail) is a format on which records are sent, received and/or drafted using electronic mailing systems. E-mail is not a record series. Instead, each individual e-mail should be evaluated according to its content and retained in accordance with the record series adopted within this schedule that the content most closely fits. Local Certificates of Disposal will be filed regardless of whether or not OHS wishes to be informed. ** NOTE ** Audited means audited by the Auditor of State and the Audit Report is released. ** NOTE ** We will be using the "General Geauga County Records Retention/Disposal Schedule" which was approved prior to August 1992. A)Applications, records documenting issuance of concealed handgun licenses and renewals. *Recordings include photographs, audio or video recordings from county issued cell phones, recorders, and computers as well as personal cell phones, recorders and computers that document the functions of the GCSO. GCSO-23 Foreign Execution-Executions and attachments ordered by courts outside the county against county residents. 7 years-originals returned to the Court. 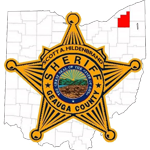 **The Geauga County Sheriff will also utilize the Geauga County General Schedule of Records Retention and Disposition.